The Greater St. Louis Mothers of Twins Club has a rich history dating back to 1957 when Joyce Smith, a mother of twins, placed an ad in a neighborhood paper. She wanted to meet with other mothers of twins who were sharing her "double trouble". 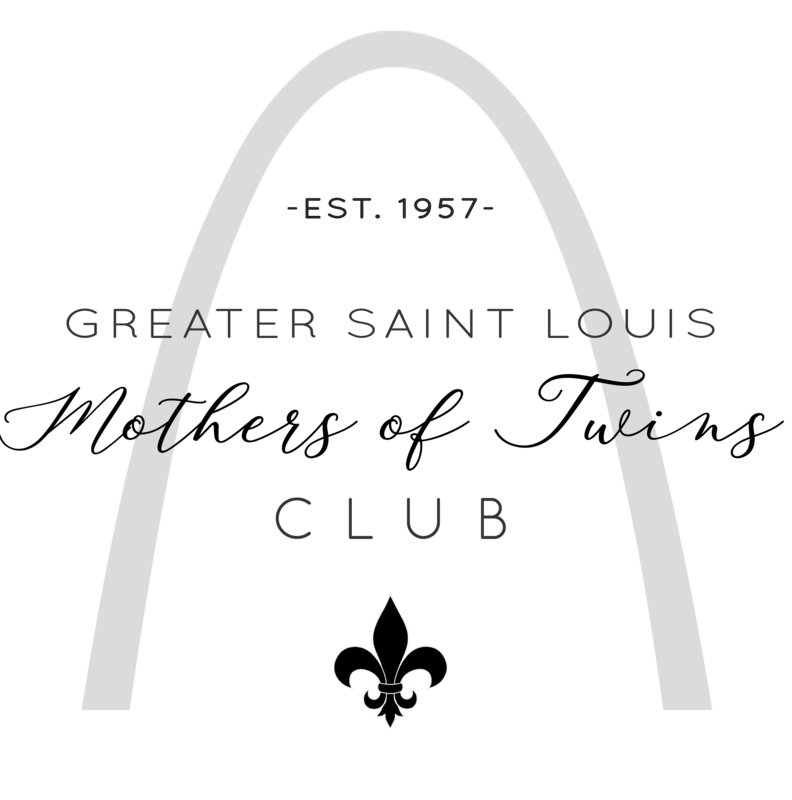 The Club is one of the larger local organizations in the country providing membership and support to several hundred parents of multiples in the metropolitan St. Louis area. To provide parents of multiples the opportunity to meet with others who share their problems and interests; and through planned programs, assist each other by offering help, encourage, suggestions and ideas whenever possible. To participate in current research with multiple birth children by researchers and doctors. To provide educational and research material to members and to others with an interest in the special aspects which relate to multiples. Members have access to our club's online community with members-only forums for sharing information, news, events, member lists and classified for buying and selling items between our semi-annual consignment sales. We also maintain a members-only Facebook group. Re-Sell-It Consignment Sale - Re-Sell-It is a large, popular sale of pre-owned children's clothes, shoes, toys, equipment and more that is held twice a year. Members participate as buyers, sellers, and workers. After the members special shopping time, the sale is opened up to other twins club and then the public. Scholarship - Each year we award two scholarships to multiple birth students for post high school education or training. Multiple birth children of members and non-members are invited to apply. Community Service - This committee provides charitable functions and activities to parents and others responsible for raising multiples. These functions are not restricted to members and situations are brought to our attention by many professionals and others in our community. Fundraising - Provides fund raising for club activities through the sale multiples related apparel and other items. We also host a Trivia Night once a year to raise funds. Family Events - We host a variety of events for our member families throughout the year including Breakfast with Santa, Spring Picnic, Fall Hayride and many other smaller events. Lot of opportunities for your family to have fun with other families of multiples. State Convention - We are an active member of the Missouri Mothers of Twins Clubs (MOMOTC) and once a year in the fall we participate in a gathering of these clubs. Hosting the convention rotates through the member clubs of the organization.